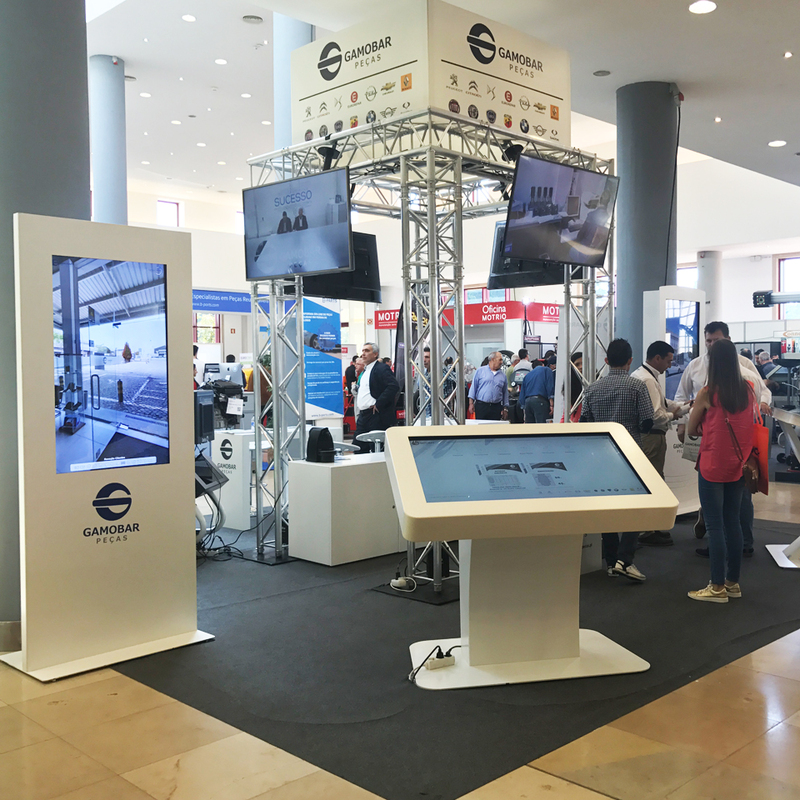 The GAMOBAR Group presented itself at the expoMECANICA event held from April 7 to 9, at Exponor - Feira Internacional do Porto, with some of the PARTTEAM & OEMKIOSKS equipment. For this event, PARTTEAM & OEMKIOSKS offered: 48'' NOMYU INLITE , 47'' PLASMV and 48'' STRONG and CORAL interactive tables Of 46 ". These are excellent templates for passing multimedia content (videos, photos, information, among others). This are ideal platforms to promote products and services, present market trends, boost sales, strengthen the brand image and the relationship with the public. 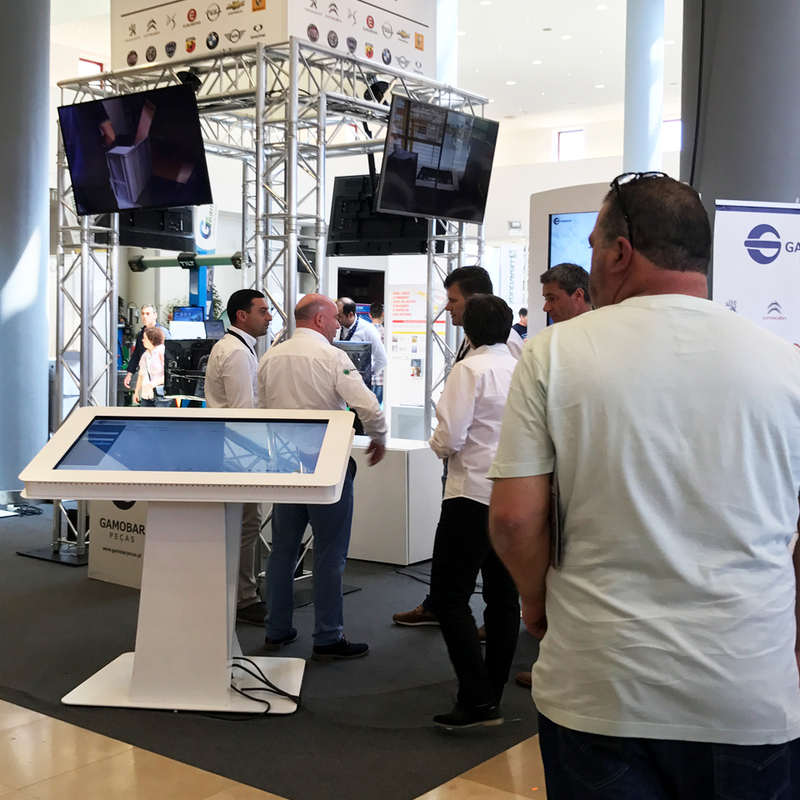 Kiosk Rental is a service that PARTTEAM & OEMKIOSKS offers for short, medium or long-term projects ( RENTING ), as is the case of fairs, events and exhibitions. The visual impact of dynamic information is a differentiating factor in Events & Exhibitions and increasingly, it turns out, companies and brands are careful to opt for interactive solutions that bring them closer to the end consumer. The PARTTEAM & OEMKIOSKS Group is available to make a specific proposal for the rental of kiosks.